We continue to inform you about possibilities in frame of Leonardo da Vinci programme. If your organization is interested in applying for a grant in social care, child care or health care field, you can choose our organization as intermediary partner. Eprojectconsult and A Rocca organization built in the years a network with more than 200 partners involved in, including companies and organizations which are working in the social field. We can organize for you qualitative workplace, where you will get high-class practice experience. In 2010-2011 year we worked in a project “Innovative Practices and Research. A new perspective in the Health care Services for the Elderly and Disabled” . During the project the participants were expected to think of new and innovative theories and practice methods regarding Health Care for Elderly and Disabled. They collected information regarding legislations, research data, new products and technology used in the sector. The project was coordinated from the “Storgi 2007” and it involved 7 participants from Cyprus. In year 2012 our team is working on “EUproInternIII” project in partnership with FAIRbund organization, from Leipzig (Germany). 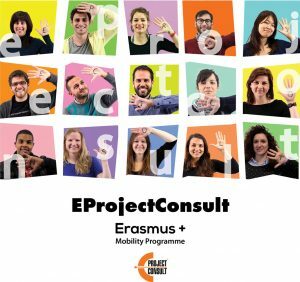 Two of the“EUproInternIII” participants will make their training experience in social organizations based in Sicily. Both organizations are located in Milazzo (province of Messina), beautiful small sity, situated on the sea side. One of the project participants will take a practical trainee in Cooperative Sociale Utopia. This organization deals with social and entertaining acticities for the forein people, mainly immigrants. Participant will be able to help this people to facilitate their daily life and integrate in to the society. During this internship participant will work in team and will build cooperation with a new colleagues also share a good experience. It is a great possibility to try to do individual work, according to the individual skills of the participant. Another participant will try herself in the work in Associazione La Fenice Onlus “Lido La Fenice”,which is also situated in Milazzo. Her job responsibilities will include assisting and entertaining of disabled people. Participant will help disabled people to integrate to society, will give them support and assistance. Eprojectconsult also will organize a cultural activities for our partners, so we belive that they will spend their time in Sicily useful and cheerfully. Stay tuned if you want to have more information about the impression of our German trainees, which will be involved in the social workfield! !